Now is the time to start preparing your paper for the IamInfoSMART Symposium 2017! We are pleased to invite you to submit a full paper presenting your fresh and unconventional information literacy strategies and approaches done by libraries and information centers all throughout the country. The IamInfoSMART Symposium will take place on 10 November 2017 (Friday) at The Learning Commons, 12/F, Henry Sy, Sr. Hall. To be as inclusive as possible and with “Upscaling: Information Literacy in Transformation” as our theme, we are interested in hearing a wide array of stories on information literacy in your community, school libraries, academic libraries and in your workplace. The call for papers is open to all librarians, LIS faculty and graduate students, researchers, and media and information specialists from schools, colleges and universities, public and special libraries in the country. The manuscript must be written in English and submitted as a Word document with a maximum 8 pages, not to exceed 4000 words including figures, tables and references. One line separating paragraphs or sections. Do not indent. The figures, tables and graphs must be included inside the text. Figure, table and graph captions are set in 10pt. Symposium papers should be prepared using the templates attached and must be submitted with the subject “[PAPER SUBMISSION] InfoSMART Symposium 2017” through library@dlsu.edu.ph on or before 15 July 2017. Contributions will be double-blind peer-reviewed. At least one of the paper’s authors must be present to deliver a summary of the paper during the symposium. Please note that all expenses, including travel, accommodation, etc. are the responsibility of the authors. A modest amount will be given as a token of appreciation to authors of accepted papers. For inquiries, you may Chat with LORA, send an email to library@dlsu.edu.ph, or contact us at (02)524.4611 local 620. We want to see you be a part of this annual symposium. Taylor & Francis Online will be temporarily inaccessible on Thursday, 26 January 2017, 7:00AM to 11:00AM (local time) for its scheduled maintenance to be performed on their ​internal network hardware. Taylor & Francis publishes quality peer-reviewed journals under the Routledge and Taylor & Francis imprints. DLSU's subscription to the Social Sciences and Humanities Library collection is searchable via the content platform Taylor & Francis Online​. The trial access to Emerald Insight is now available until 31​ March 2017. Emerald Publishing is a global publisher linking research and practice to the benefit of society. Founded in 1967, Emerald today manages a range of digital products, a portfolio of nearly 300 journals, more than 2,500 books and over 450 teaching cases. Once Emerald has been tried, kindly click and accomplish this Online Feedback Form. Your feedback/recommendations/comments will greatly help in evaluating whether or not to officially subscribe to this database. The Libraries is holding session 8 of the Human Library on 17 March 2017, 1:00pm to 5:00pm at The Learning Commons, Henry Sy Sr. Hall. The Libraries, in partnership with the Office of Personnel Management, held its second session of "Lunch 'N Learn", last February 3, 2017 from 12:00PM to 1:00PM at The Learning Commons, European Documentation Centre, 13F, Henry Sy Sr. Hall, De La Salle University. Lunch 'N Learn at the Libraries’ program aims to provide a venue for DLSU faculty and staff to take part in meaningful conversations combined with the opportunities to build a network over lunch. 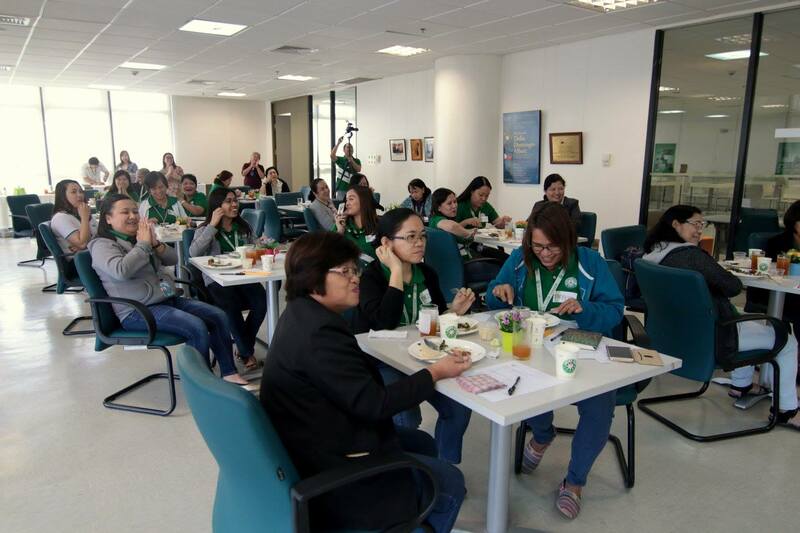 Somewhat similar to the concept of the brown bag session, members of the DLSU community sat together over free and healthy lunch, while Dr. Jowi Cruz, talked about "De-stressing” which was the topic for the second session. Attendees and the discussant engaged in casual discussions where personal experiences where shared. With this activity, new ideas were discovered particularly on how to stay stress-free in dealing with work, family, relationship and life in general. The trial access to Statista is now available until 15​ March 2017. Statista is one of the first statistics​ portals in the world to integrate data on over 80,000 topics from over 18,000 sources onto a single professional platform. Categorized into 21 market sectors, i​t provides companies, business customers, research institutions, and the academic community with direct access to quantitative data on media, business, finance, politics, and a wide variety of other areas of interest or markets. Once Statista has been tried, kindly click and accomplish this Online Feedback Form. Your feedback/recommendations/comments will greatly help in evaluating whether or not to officially subscribe to this database. In commemoration of the Liberation of Manila (Proclamation No. 653, s1993), the Libraries invite the academic community to visit the exhibit entitled "Manila 1945 in Text and Images" at the 6th floor Exhibit Area of The Learning Commons, Henry Sy Sr. Hall. This exhibition displays selected images and works about the Battle of Manila from the holdings of the Libraries. This exhibit aims to remind the academic community about the different lessons of war which should not be forgotten by all. Currently, the Libraries have a Special Collection on War Years, consisting of 88 volumes of books on World War I and World War II, located on the 13th floor of The Learning Commons. In addition, 260 titles (501 volumes) of books on World War II are available in the Filipiniana Collection (10th floor HSSH). The exhibit will run from 20 February to 03 March 2017, 7:00AM to 8:00PM.